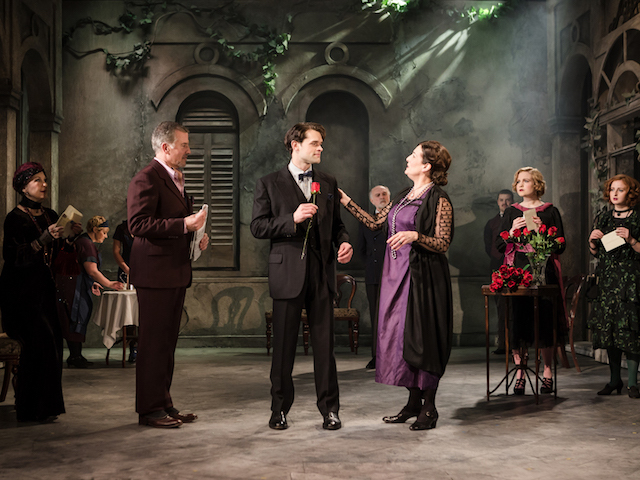 Death Takes A Holiday is making its UK premiere at the Charing Cross Theatre, so we sat down with Producer Danielle Tarento to find out more about this exciting new production. The story follows Death, who disguises himself as a handsome young man to better understand why life is so precious and death so feared. 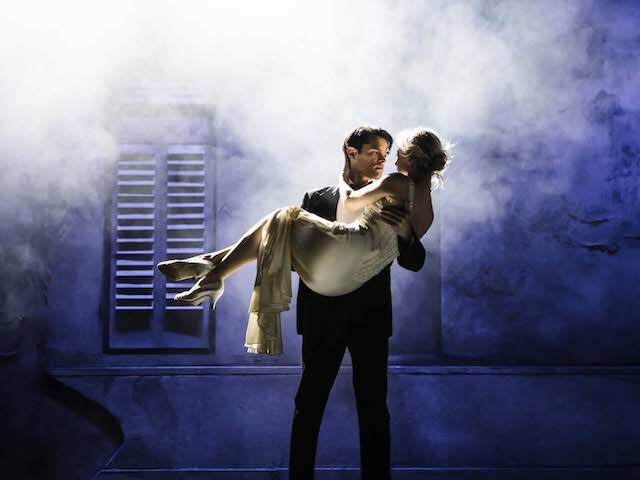 Featuring a lush, romantic score and starring Chris Peluso (Miss Saigon) and Zoë Doano (Les Misérables), Death Takes A Holiday is a show like no other and would make a perfect date night show this Valentine’s Day. Danielle gave us an insight into bringing the production to life, her working relationship with legendary composer and lyricist, Maury Yeston, as well as the wonderful Charing Cross Season, which previously featured hit shows like Titanic and Ragtime. How did Death Takes A Holiday come about? I’ve known Maury Yeston, the Composer, for a very long time, before we even started talking about Titanic. Sometimes there’s just the feeling when you meet someone that they’re going to be in your life for a very long time and it definitely felt that way with Maury. I’m a huge fan of his work but, when we started talking about projects, Titanic was actually nowhere near the list because the original version had a cast of 60 and a band of 30. That was not something we were looking to recreate. When we discovered a reduced version had been produced in upstate New York, it was suddenly on the radar. It was really in doing Titanic first that Maury and I, we sort of fell in love with each other. 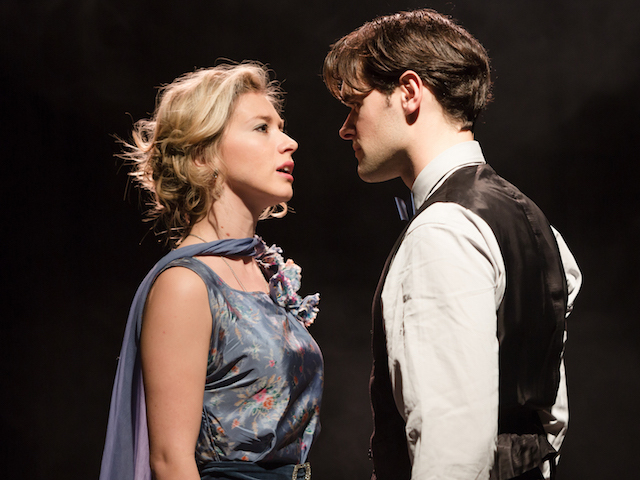 But we didn’t think that Death Takes A Holiday was right for Southwark Playhouse, which is where Director Thom Southerland and I had done a lot of our work. Then Thom was offered the role of Artistic Director at the Charing Cross Theatre and my co-Producer, Steven Levy, loved Death Takes A Holiday, and was already making in-roads with Maury about doing it there. It seemed like a bit of a perfect storm really. When I came on to co-produce the season with Steven, we agreed to start it with Titanic and end with Death Takes A Holiday. The fact that Steven adored it as much as me made it a natural fit. We’re very lucky in this industry, when you deal with people and there’s a lot of trust, you find a great collaboration. Whether it be with a Writer or a Director, you’ve got to run with that. Within the wider season, how do you feel Death Takes A Holiday complements the other shows? Funnily enough, I think the idea of the season began with Death Takes A Holiday. However, we knew that the first show to open the season needed to be a slam dunk (not that there’s really any such thing in this industry)! That’s why we decided to open with Titanic, which already had a successful track record and was still in people’s psyches. Knowing that we wanted to start with Titanic, it felt natural to bookend the season with two Maury Yeston shows. Death Takes A Holiday isn’t a well-known title, you’re a bit of a buff if you already know it and it’s brand new to Europe. It was based on a 1930s film, then Meet Joe Black, the Brad Pitt and Anthony Hopkins movie, was also very loosely based on it, but with different titles people aren’t necessarily going to get the connection. Based on this, it was important to do a couple of titles that would resonate with people before we did something new. Hopefully we’ve built up a trust and a reputation over the last nine months and people would be willing to take a punt on seeing something they don’t know. What inspires you to produce a particular show? For me, it’s always about the music. It’s the Director’s interpretation on how the book comes across but, if the music does its thing, that’s where my interest lies. So for me, it’s always about the score. Whenever I’m looking at something new (I get sent a lot of new work), I never read the script first. I listen to a couple of demos and if the music talks to me, then I’m in. And it’s got to have heart. I’ve got to be moved by it because that’s what I think music should do. What was the most exciting aspect of working on Death Takes A Holiday? Well I think it’s always exiting to do something new. Of course, there had been a production of it in New York and regional productions around America, but it’s new to us in Europe. I didn’t see the off-Broadway version and I haven’t watched any clips on YouTube because I wanted to come at it completely fresh. I think the most exciting thing is breathing life into something. Maury Yeston jokes that all he is, “is dots on a page”. And when people ask him “Was this production different from another one?”, he always says, “It’s not up to me to say how it should be, all I do is write music. It’s up to the Director and the Production Team to interpret it into something.”, that’s our job. That’s why Shakespeare is still being performed 400 years later, because it’s about new interpretations. For me, the excitement is about taking some A4 paper that has some words and some dots on it, and turning it into something that lives, breathes and has a life of its own. A few weeks ago, what you see in the theatre didn’t exist. When it comes to casting, how does your vision of the role play into how the show is ultimately cast? What I love about casting is how organic the process is. I say this a lot to students – don’t come in and try to give us what we want because in the first round of casting, we probably don’t know ourselves. What’s joyous is when someone comes in and does something so different than what you were thinking that it can change your whole perception of what the role might be. You know, we think we know what it’s going to be and then someone changes our minds completely. I think casting a show is one of the most exciting parts of it because you’re getting your family together. As I said before, it’s something that didn’t exist that suddenly will, they’re the people that are going to make it live. It’s all a little bit like having a baby; until you meet it, you don’t know what it is and then it’s going to be there forever! And finally, what is it about Death Takes A Holiday that makes it so special to you? I think its biggest selling point is that it’s not like anything you can see at the moment. It’s got a uniqueness about it. First of all, it’s got the most sensational score, I think Maury writes romanticism and emotion as well as anyone else on the planet. Plus, the fact that you’re coming to hear a 10-piece band in a small theatre is exciting in itself. From the musical side, it’s as good as anything you’re going to hear but more than that, I think it’s just so quirky, interesting and hugely funny. It also asks the fundamental question of our lives, ‘What is it to live? What is it to die and what do we do with the bit in the middle?’ It has universal truths and it’s rare to have a musical that asks such big questions. Unlock exclusive access to £20 Rush tickets to Death Takes A Holiday now, playing at the Charing Cross Theatre until 4 March. Want more? Next To Normal stars Jennifer Damiano and Preston Sadleir play Heads Up!